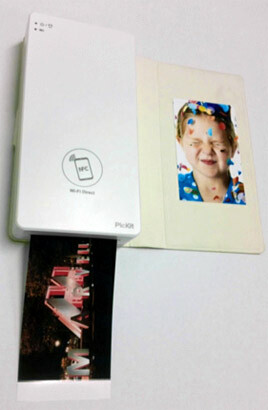 The new Prinics PicKit M1, a handheld battery powered photo printer, is an example of a brand new fun device. The PicKit M1 is extremely easy to use thanks to the integration of NFC and WiFi direct. Touch any NFC enabled phone to the printer and it will launch the intuitive PicKit app and establish a WiFi direct connection. No NFC? No problem! Simply launch the app manually. From the app you can select from any of the pictures on the phone and print. A minute later you have a high quality 2.1”x 3.4” photo the share with friends. There is nothing like the joy of holding a real photo in your hand! Whether at the highest end of performance, middle- or low-end of a product class, Marvell’s family of printing SoCs seek to drive down cost and improve performance of existing or new product categories. And not just at the SoC level. We don’t stop at a diverse product line and broad range of print solutions; we offer the most complete software-development kit (SDK) and solutions for traditional ink/laser/thermal and dye-sub printers, as well as for mobile and 3D printing. For example, the Marvell SDK allows OEMs faster time-to-market. Reference designs allow OEMs to capitalize on other Marvell high-performance, low-power product lines such as the Marvell Avastar™ 88W8782, a highly integrated wireless local area network (WLAN) SoC, that gives consumers highly convenient wireless print options using Apple AirPrint, Google Cloud Print, and Mopria™ Print Service for Android devices or Wi-Fi local printing. Plus, Marvell’s strong cryptography and tamper protection schemes offer security and protect consumables from counterfeiting. Here’s how Marvell’s latest high-end printing SoC delivers on best-in-class performance, footprint and cost. The Marvell 88PA6120 system-on-a-chip (SoC), offers unmatched integration, I/O connectivity and performance for traditional printing and 3D printing solutions. It combines powerful processing with a host of I/O capability and dedicated imaging hardware acceleration to deliver high performance and excellent image quality. It integrates a powerful 533MHz ARM v7-compatible processor to handle all the application processing requirements. Its super-integrated design lowers the solution part count to achieve lower cost. Marvell solutions are also highly configurable enabling a single SOC to support a wide range of ink and laser printers, MFP’s, and 3D printers. It’s no wonder Marvell is the world’s number one supplier of printer SoCs, and the Prinics PicKit shows that there is still more innovation and growth to come in the printer market. 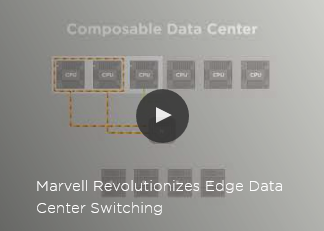 And at Marvell, we will continue our mantra to keep at developing higher-performance, lower power, smaller footprint, lower cost SoCs.